Once you make the switch to an ergonomic keyboard, it's hard to go back. That's why the Freestyle2 Blue by Kinesis is so helpful when you use a computer for many hours a day, with its split and splayed design that keeps your hands in a neutral typing position. 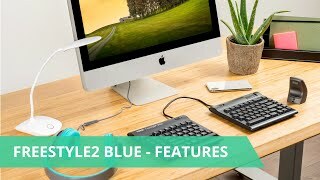 Bluetooth connectivity on the Kinesis Freestyle2 Blue, Multichannel Bluetooth Keyboard for Mac means you can pair with up to three devices easily. This model was designed for use with Mac, with Mac-specific hotkeys to keep you typing at maximum efficiency all day. 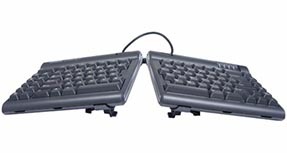 The Kinesis Freestyle2 keyboard is available in both standard and extended models. The standard Freestyle2 keyboard offers 9 inches of separation and is the more popular version ideal for most users. 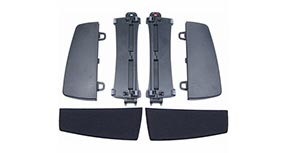 The extended Freestyle2 offers 20 inches of separation between the two keyboard halves, and it is ideal for users with very broad shoulders or for someone who would like to support their keyboards at a 90° angle with the Ascent accessory, as pictured. Gain the ability to tent your keyboard with any of these accessories for the Kinesis Freestyle2 Blue. 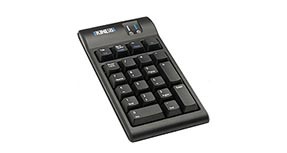 The Kinesis Freestyle2 Numeric Keypad is a great complement to your Kinesis Freestyle2 Adjustable Split Keyboard. 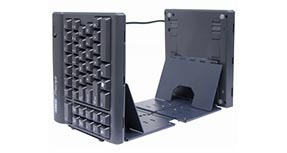 This keypad has the same low-force keys and slim design as the keyboard, and can be placed on the left or right of your work area to keep you in your neutral reach zone. 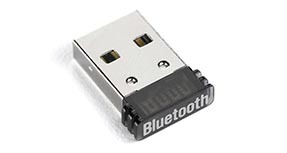 It features embedded hot keys and two USB ports for added speed and convenience. Be advised: the numeric keypad is not wireless, and will connect to your wireless keyboard using a USB cable. Owned: 2 years. Usage: at least 5 hours 4-5 days/wk. Also purchased: Freestyle2 VIP3 Accessory Comments: Connects easily to 3 different devices at one time and moves seamlessly through the 3 channels. Keys are very responsive and have a perfect feel when tapped. I keep the two boards about 1" apart. Doesn't seem like a lot, but it was exactly what I needed. VIP3 accessory was a must. I use at the lowest level. The rest is perfect for my wrists. I am a legal nurse consultant. I work 5-10 hours at a stretch. I was having extreme wrist/shoulder/neck pain prior to obtaining this keyboard. I would not have been able to continue without this keyboard. Additional aids: I use a lapboard with keyboard and mouse on the lapboard, keeping my shoulders, elbows, and wrists in the neutral position. Also use a vertical mouse, perixx permice-715 and have an LG ultrawide screen set to keep neck in neutral position. With these 4 aids, I experience only mild wrist/shoulder/neck pain after typing for 5-10 hours at a time.